Some Google AdSense Ads Publishers do not know what AdSense Link units and Themed ad units really are. They are two variations of AdSense Ads that are meant to further increase the quality of Google AdSense Ads that get served on websites. Themed ad units: As their name suggests, themed ad units are the ad units that are based on particular themes. These themes could be depicted by colors or special type of graphics that are representative of the event or occasion portrayed by the theme. The events and occasions could be things like Christmas, New Year’s Day, etc. Of course, the themed Ads can only be displayed if they are available from the advertisers and if you have enabled the themed Ads on your AdSense account (in ‘Ad Type Preferences’). Also, since the events vary across different locations, the themed Ads are displayed based on the location of the website visitor. Besides this minor difference, themed ad units work in the same way as the normal ad units. 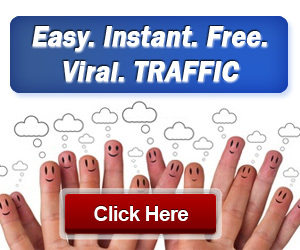 Link units: Link units are another useful way of advertising through AdSense program. Though the basic premise remains the same (i.e. targeted advertising), the way link units operate is slightly different. Link units are meant to provide even more meaningful advertisements to the website visitors by presenting them with a list of topics (ad keywords) to choose from. The website visitors are then presented with only those Ads that are related to the topic selected by them; hence making their website visit more meaningful. The list of topics presented to the website visitor is based on the website content. So, the topics are relevant to the context of website. However, the ‘clicks’ on the topics doesn’t make any revenue for you; it’s the clicks on the Ads for that topic that earns you revenue. As far as implementing of Link units is concerned, it’s done in the same way as other AdSense type products -- you copy and paste AdSense code in the html code of your webpage. Note that you are allowed to implement only one link unit per web page.